"We are pleased that a well-established market leader like Purdy has selected Univar as its distributor. Their products and commitment to quality make them a perfect fit for Univar," said Mark Mongan, business manager for Univar's specialty consumables business. "We look forward to offering customers these fantastic products and building a strong relationship with Purdy." Univar's specialty consumables business is a UK-based distributor of abrasives, adhesives, lubricants, protection films and silicones. Established in 1880 with more than 130 years of experience, the specialty consumables business prides itself on customer service and industry-leading technical support. As Univar further establishes its online portfolio for industrial trades, the new Purdy agreement is a key step to entering additional segments within the Paint and Decorating market. "Purdy is pleased to work with Univar, a leading distributor in its field. Univar's uncompromising approach and dedication to their customers will be a perfect partnership for both brands," said Mark Pereira, Purdy's product manager. Since Purdy's beginnings in a small garage in Portland, Oregon in 1925, the art of making premium painting tools has always been at the heart of the Purdy success story. Purdy remains committed to creating the best painting experience. Brushes are created by hand, personally and individually. Unlike any other brush manufacturer, every brush has a sticker with the initials of the person who made it. 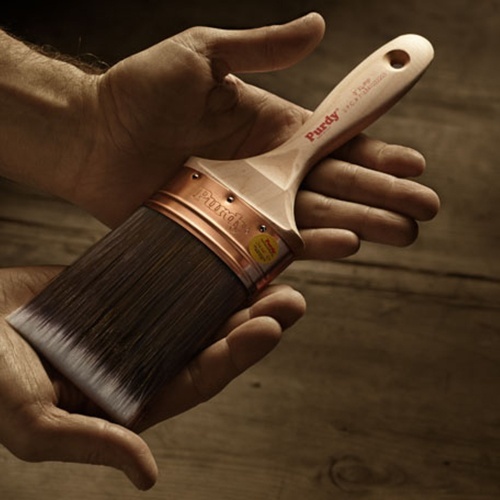 For more than 80 years, 100% of Purdy brushes have been handcrafted by skilled Purdy brushmakers. Many of Purdy's brushmakers have more than three decades of experience, taking the finest raw materials and turning them into the finest brushes available with uncompromising quality. For more information, visit purdy.com/. Follow Purdy on Twitter at twitter.com/PurdyPaintTools and like them on Facebook at facebook.com/PurdyBrand. To learn more about Purdy Professional Paint Tools, please visit purdy.com/.